Please consider making a small donation so I will be able to continue to offer free patterns, than you! 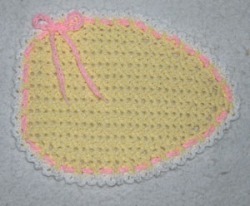 Easter egg placemat is worked in worsted weigh yarn with a size G hook. Mat measures about 12 1/2 inches long. This purse is worked with worsted weight yarn. 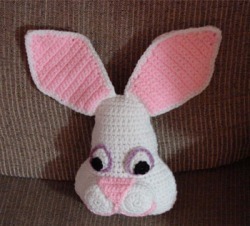 Great to make as a special Easter gift for the special little girls in your life! 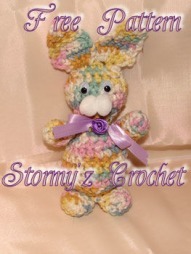 Cute little bunny to crochet. Worked with crochet cotton, but will work well with any yarn and appropriate hook size. 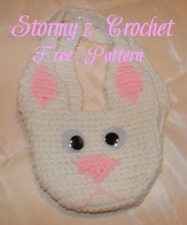 This bunny pillow is worked with worsted weight yarn. Great decorative pillow for the Easter Holiday or any time!! 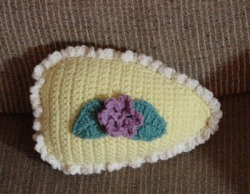 This Easter egg pillow is worked with worsted weight yarn. Great decorative pillow for the Easter Holiday! !